Chuck Hester is a national speaker on LinkedIn and author of Linking in to Pay It Forward: Changing the Value Proposition in Social Media. His specialties include social media marketing, public relations strategies, and marketing communications to name a few. He’s an author and podcast host with an emphasis on LinkedIn. 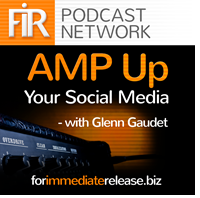 Chuck recently joined AMP UP Your Social Media’s host Glenn Gaudet to discuss how LinkedIn can be used for professional branding. Use LinkedIn for more than just recruiting. Recently, LinkedIn became a content platform, opening up blogging, content sharing, and information sharing to the average business user. It’s more about business-to-business relationships rather than simply recruiting. You can utilize LinkedIn as an open discussion group for attracting clients and building your brand. Build employee groups. Use groups as a marketplace to chat, reaching out to other employees and colleagues that you wouldn’t normally get the chance to talk to. LinkedIn company pages allow people to build information on a company page as an employee, giving your employees another resource for connecting to others. Exchange information while identifying with your company to build your market! 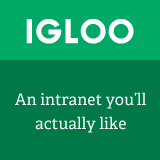 Make your profile engaging. Many times, people fall into the trap of simply posting information without truly making a connection. Take your profile to the next level by engaging users and developing relationships through your LinkedIn profile. Add to the conversations by connecting with people you typically wouldn’t be able to otherwise! Join groups and become part of the community. Make your LinkedIn profile not just a resume - make it a portfolio! Look at your profile and see what it has to offer to potential partners. Does the verbiage reflect what target audiences will connect with? LinkedIn is more robust and delves deeper than a simple resume. Consider it from a customer or business aspect and ensure that your profile connects with those users. With a BA in journalism and communications from the University of Southern California, Chuck has spent his professional career delving into the intricacies of social media marketing. He supports Pets for Patriots, Inc. as well as the United Nations Refugee Fund. While he may have a lengthy professional repertoire, he values communication and the human connection - so be sure to give him a call today! Chuck is also the host of Linked Conversations, another podcast on the FIR Podcast Network.